Dr. Linda Watson has been an oncology nurse in Calgary, Alberta, Canada for over 25 years. She has held a variety of nursing and inter-professional leadership roles within the CancerControl Alberta (CCA) provincial program and is currently the Scientific Director of Applied Research and Patient Experience within the Cancer Research and Analytics division. Dr. Watson completed her doctoral research in 2014, where she explored the family’s experience of living with incurable but treatable cancer. 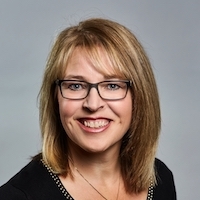 Dr. Watson holds an adjunct professor position with the Faculty of Nursing at the University of Calgary, but her passion for improving the patient experience has kept her committed to her full time position as a transformational leader within the Alberta cancer system. Committed to enhancing the person centredness of the cancer care system she has worked closely with the Canadian Partnership Against Cancer (CPAC) and the Alberta Cancer Foundation (ACF) to develop new processes, systems, and programs to enhance clinical capacity to deliver tailored, individualized care to cancer patients in the ambulatory cancer setting. These include using Patient Reported Outcomes (PROs) to improve patient experience, the implementation and evaluation of a provincial cancer patient navigation program to improve the rural cancer patient’s access to cancer care, and a provincial post-treatment transitions program that aims to improve the transition between the cancer program and primary care. To learn more about other speaker?